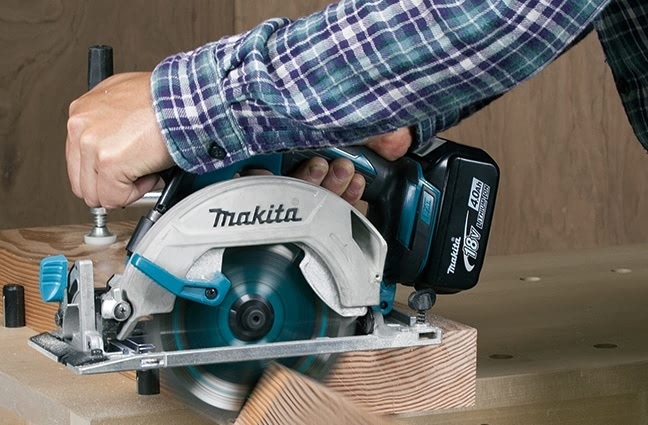 The new Makita 5 piece kit is here and it is a woodworker’s dream. The DLX5043PT features some of the most popular power tools along with three 5Ah lithium-ion batteries and a charger. Suited to woodworking applications, the kit is part of the 18V LXT brushless range that guarantees top performance. With the most prominent shopping season fast approaching we look at why it should be top of your list. These are packaged in a rugged, flexible tool bag that has a shoulder strap, handgrip and very useful trolley wheels. Furthermore, there is an extendable handle for ease of transport of your tools whilst keeping them safe. One thing the aforementioned power tools have in common are their brushless motors. These lead to increased performance and durability without compromising on power. Below we take a look at key features offered individually by the tools. In conclusion, this Makita 5 piece kit covers all your needs. Drilling and sawing is made efficient, while the added benefit of a high quality lamp light means working in darker areas is no struggle. Try the DLX5043PT tools now at a showroom near you. Alternatively, order here before 17.30 for free next working day delivery.